Starting on November 1, we take turns writing one thing we are each thankful for in a black Sharpie marker on our pumpkin. This designated pumpkin sits in the center of our dinner table throughout the month of November. 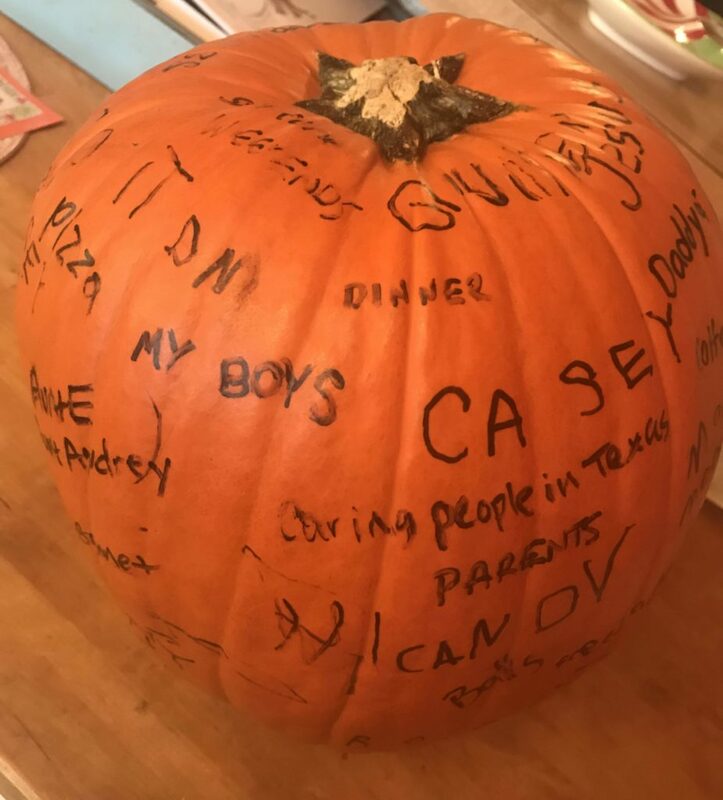 It always brings joy and quite a bit of laughter to hear what our boys are thinking about or to see what they quietly and sneakily write on the pumpkin. This end-of-year sprint is familiar territory for all of us. And still, every year it rolls around and surprises us. 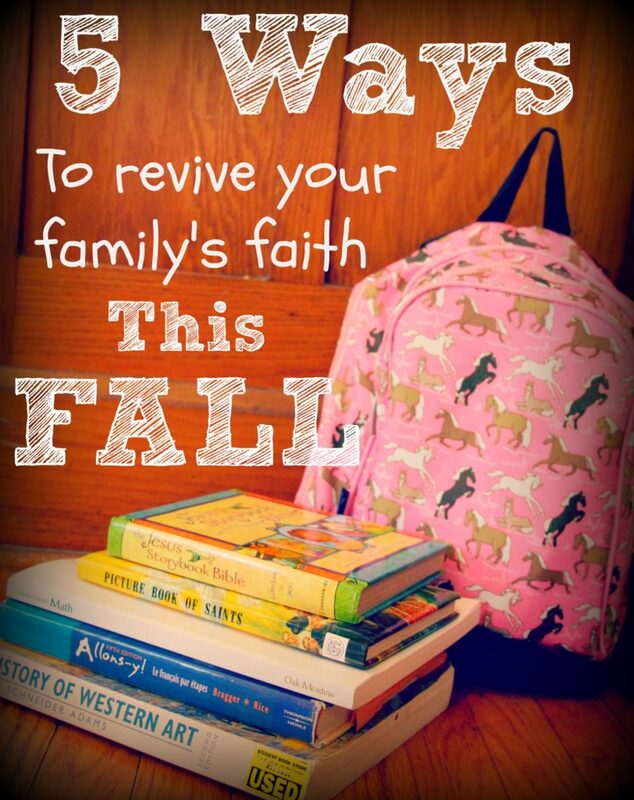 There is no better time than fall to start new traditions, get back into parish life, and dive into faith with your family. 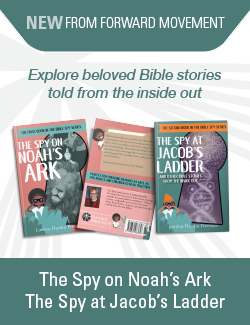 A bright teen asked me to explain the Trinity. Here's what I said.